A fire at an abandoned house in Pittston on Friday has been ruled an arson, and two teenage boys are suspects. PITTSTON — A fire at an abandoned house on Friday has been ruled an arson, and two teenage boys are suspects. Sgt. Ken Grimes of the State Fire Marshal’s Office said investigators believe the fire was intentionally set using an ignitable liquid. 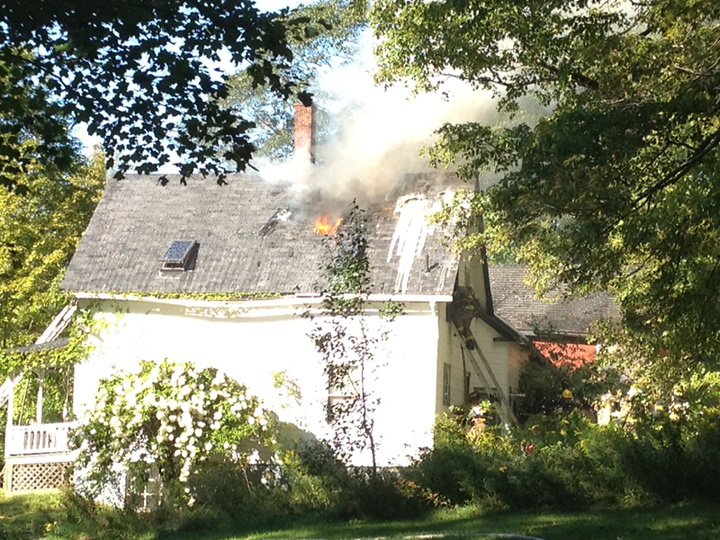 The fire started on the stairway on the second floor of the house at Webb Road and Route 126. Grimes said two boys, ages 15 and 17, are suspected of starting the fire. Both live in the area, Grimes said, and they were treated at MaineGeneral Medical Center for burns and smoke inhalation. Officials did not release the boys’ names because they are under the age of 18. A firefighter from Whitefield also was injured when a brick chimney collapsed on him. Gardiner rescue transported him to MaineGeneral, where he was treated and released. Grimes said the fire marshal’s office has forwarded their report to the Kennebec County District Attorney’s Office for consideration of criminal charges. Arson is a class A crime punishable by up to 30 years in prison. The house, which sustained significant damage from the fire, has been vacant for about four years. A neighbor said its last occupant, an elderly man, died several years ago.